DA Buzzing Cries Out for Mercy! 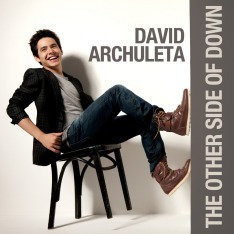 As a trick-or-treating child, David Archuleta’s favorite Halloween costume was Dracula. While I have nothing personal against Mr. Vlad, I regret to inform you that this website has been ‘impaled’ by Vlad the Impaler. He has left us in an inescapable and helpless position…and I suspect I know the reason. 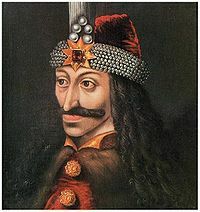 Before I became a fan of David Archuleta, I did not know much about Count Vlad Tepes, better known, or at least infamously known as Dracula. Now I know more than I wish to know! Born in November or December of 1431 in Transylvania, the count spent, or misspent, most of his 45 years on Earth by wreaking havoc on his enemies and dinner guests alike. When the end came for Count Vlad, his head was chopped off, preserved in honey and sent as a gift to the Sultan Mehmet II. The honey kept the head looking good, more likely fearsome, so the Turkish ruler could display it on a stake in the Ottoman capital of Constantinople, known today as Istanbul, Turkey. It’s the HONEY connection! As Halloween fast approaches, Count Vlad must be angry with DA Buzzing because of the honey. It didn’t sweeten his disposition to be preserved in honey. I am working feverishly to cure DA Buzzing of the evil doings of Count Dracula. But I fear it may be Halloween night before I succeed. In the meantime, use your zoom tool to decipher this scary text.